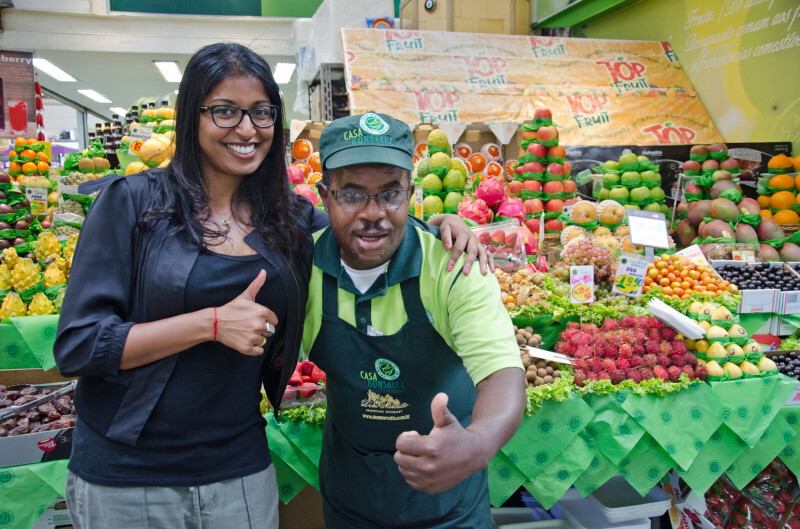 Has World Cup fever got you hankering after all things Brazil? These are the foods you should not miss. 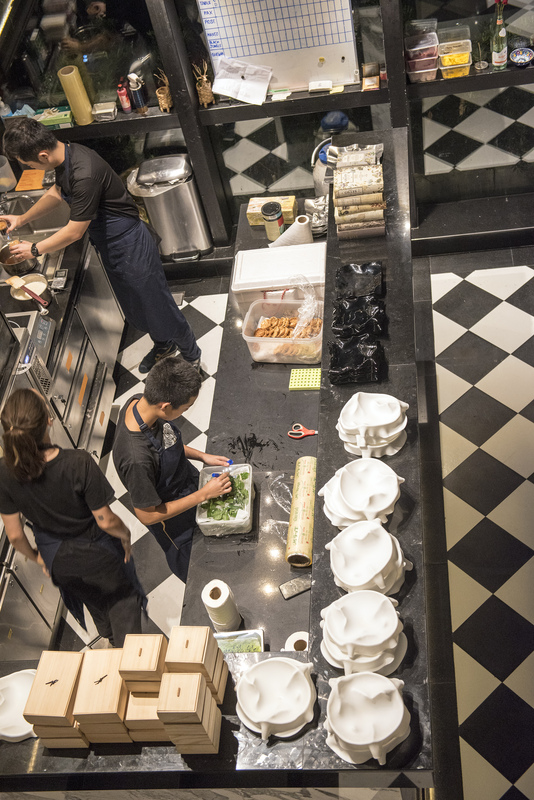 Note Brazilian food is a mix of influences, and as far as the wallet is concerned, it doesn’t come cheap – restaurants, bars, hotels are expensive by any standard. 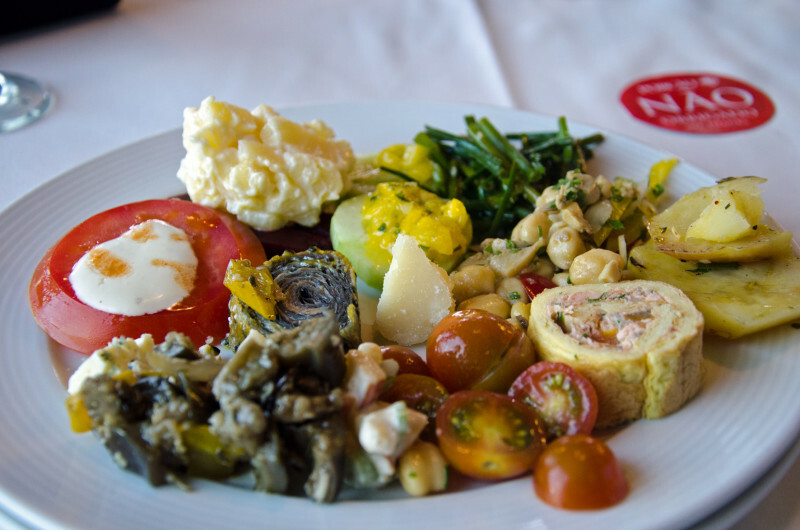 Mixing it up with a few “per kilo” restaurants at the museums and downtown will help stretch out the reais and helped me to balance the high-end eating with the munchies on-the-go. My Carioca friend, Raquel Arellano, founder of Gordelícias, a Brazilian community food blog meets me for dinner in the quaint neighbourhood of Lapa in Rio. She thrusts a prettily covered box in my hands. In it, is a mixture of Brazilian sweets made with peanuts, condensed milk and banana, Globo manioc biscuits popularly eaten at the beach, and tea-time cookies. 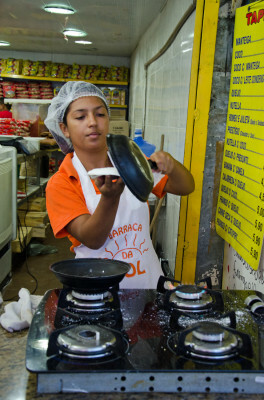 After sampling a variety of brigadeiro – thickened condensed milk – similar to Argentine dulce de leche, with chocolate powder, either served as truffles or as a caramel-textured pudding (the best one handmade by Natália Caseli of Tulie Gourmet), I realise that Brazilians have an incredibly sweet tooth. 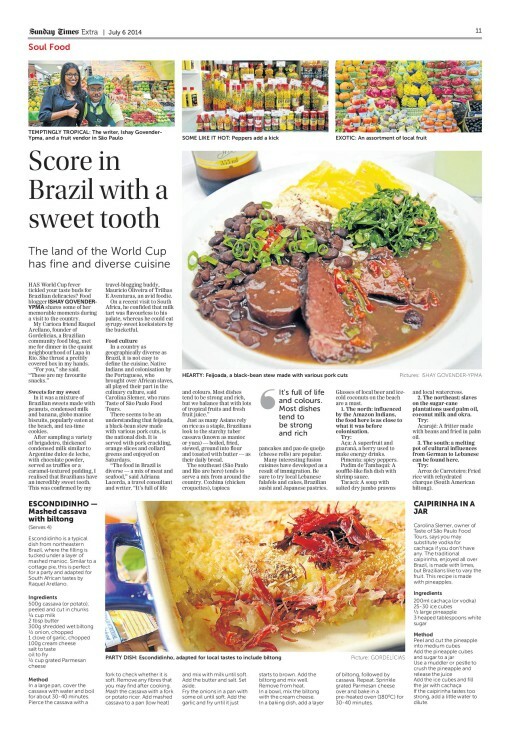 This is confirmed by my travel blogging buddy, Mauricio Oliveira of Trilhas E Aventuras, an avid foodie. On a recent visit to South Africa, he confided that milk tart is flavourless to his palate, whereas syrupy-sweet koeksisters, he could eat by the bucketful. 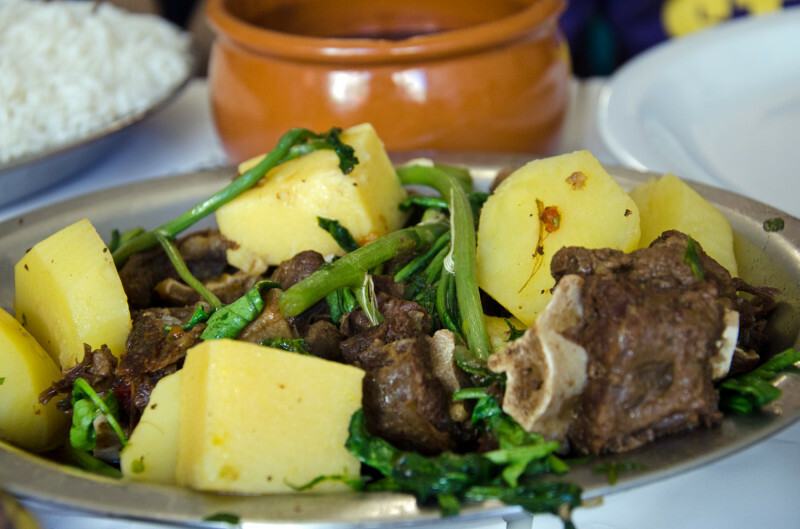 In a country as geographically expansive as Brazil, it isn’t easy to define the cuisine. 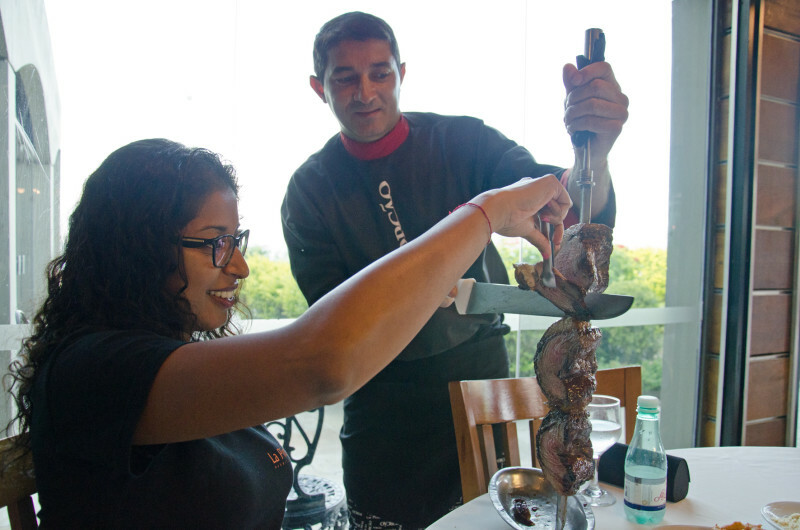 Native Indians and colonisation by the Portuguese, who brought over African slaves, have all played their part in the culinary culture, Carolina Slemer who runs Taste of São Paulo food tours, tells me. 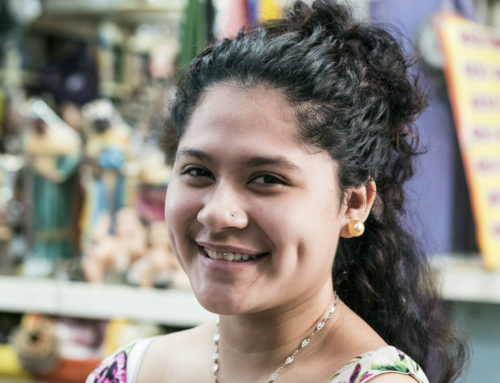 There is a mix of influences that have endured and intermingled in Brazil. There seems to be an understanding that feijoada, the black bean stew made with various pork cuts, with its roots in Africa, is the national dish. Unctuous and hearty, it’s served with pork crackling, orange slices and collard greens and enjoyed on Saturdays. 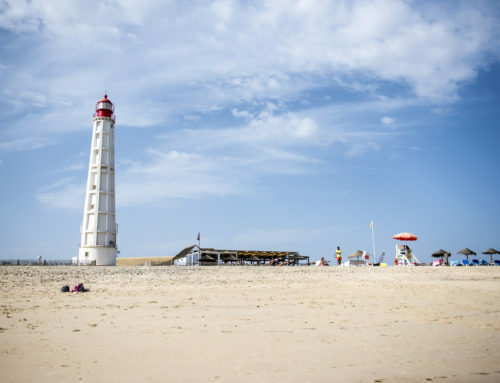 Just as many Asians rely on rice as a staple, Brazilians look to the starchy tuber cassava (known as manioc or yuca) – boiled, fried, stewed, ground into flour and toasted with butter, as their daily bread. 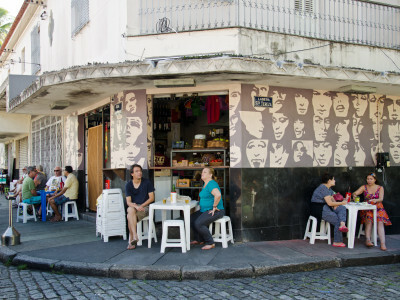 The South East (São Paulo and Rio fall here) tends to serve a mix from around the country. 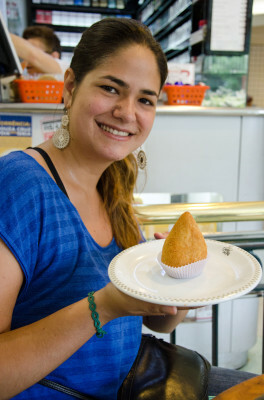 Coxhina (chicken croquettes), tapioca pancakes, salt cod pasteis (deep-fried pastries) and pão de queijo (cheese rolls) are popular city snacks. 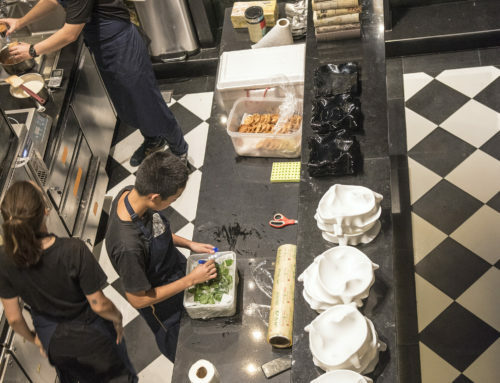 Many interesting fusion cuisines have developed as a result of immigration. Make sure you try local Lebanese falafels made with bulgar and beef called kibe and cakes, Brazilian sushi and Japanese pastries. 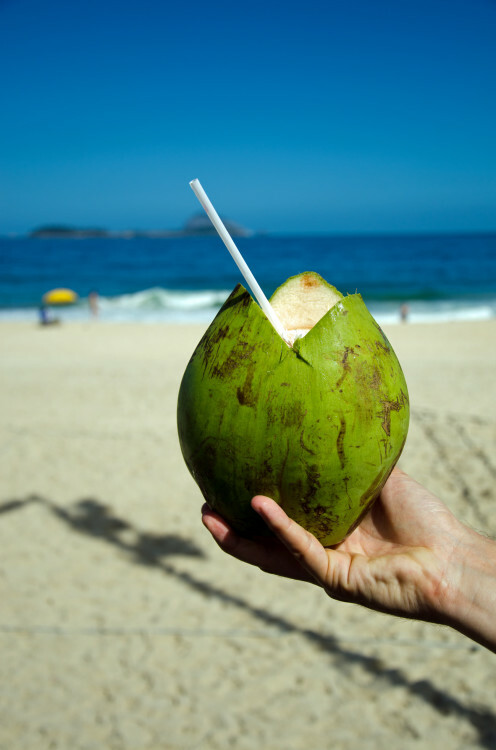 Glasses of local beer and ice-cold coconuts on the beach are a must. Influenced by the Amazon Indians, the food here is as close to what it was before colonisation. 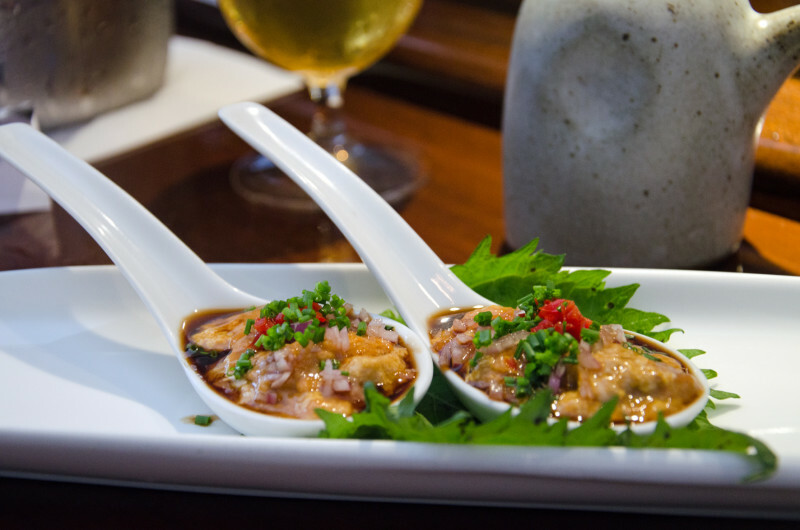 Pudim de Tambaqui: A soufflé-like fish dish with shrimp sauce. Slaves on the sugar cane plantations used palm oil, coconut milk and okra, popular in some African countries. 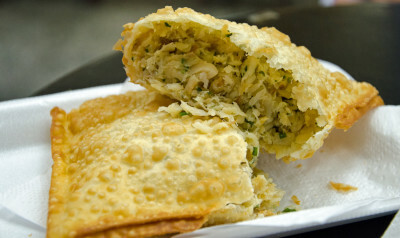 Acarajé: A fritter made with beans and fried in palm oil. 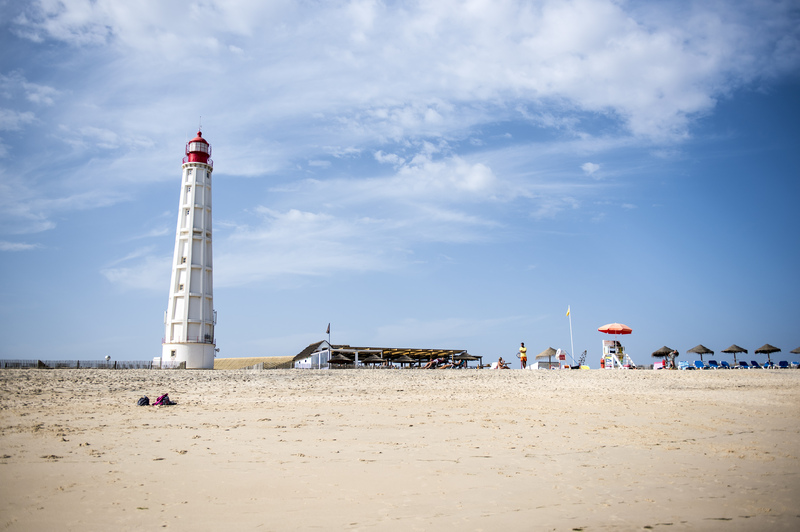 A melting pot of cultural influences from German to Lebanese can be found here. •Churrasco: Brazilian braai. 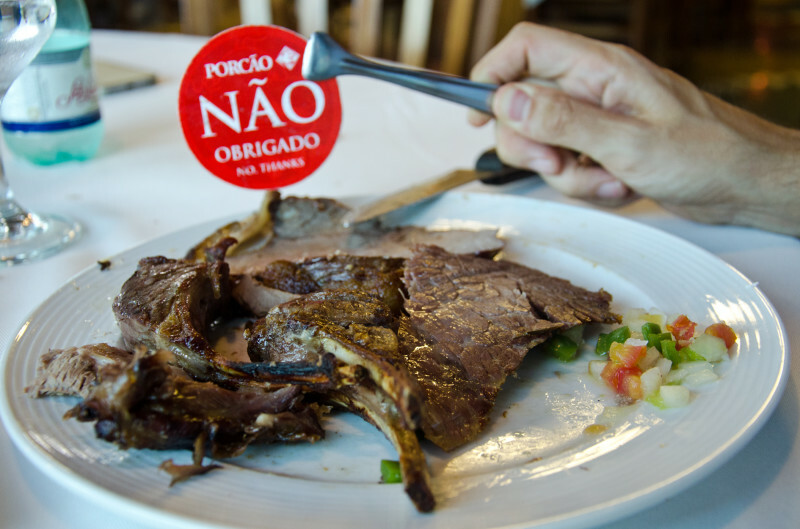 Meat marinated in salt and milk or cachaça – distilled sugarcane spirits. 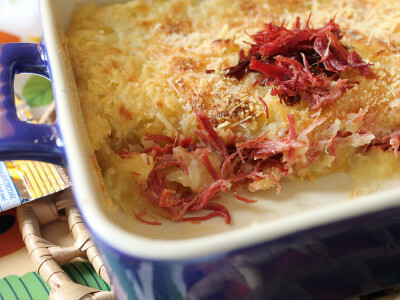 Similar to a cottage pie, this is perfect for a party and adapted for SA tastes by Raquel Arellano. The jerky used isn’t quite like South African biltong, but that’s our closest substitute. 1. In a large pan, cover the cassava with water and boil for about 30 – 40 minutes. Pierce the cassava with a fork to check if it’s soft. Remove any fibers that you may find after cooking. 2. Mash the cassava with a fork or a potato ricer. Add mashed cassava to a pan (low heat) and mix with milk, until soft. Add the butter and salt. Set aside. 3. Fry the onions in a pan with some oil, until soft. Add the garlic and fry until it just starts to brown. Add the biltong and mix well. Remove from heat. 4. In a bowl, mix the biltong with cream cheese. 5. In a baking dish, add a layer of biltong, followed by cassava. Repeat. Sprinkle grated Parmesan cheese over and bake in a pre-heated oven (180º) for 30- 40 minutes. 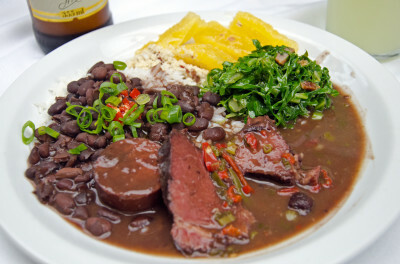 Escondidinho is a typical dish from the Northeast of Brazil. The dish has this name because the filling is tucked between two layers of mashed manioc. Carolina Slemer, owner of Taste of São Paulo Food Tours advises we substitute vodka for cachaça if we don’t have any of the latter at hand. 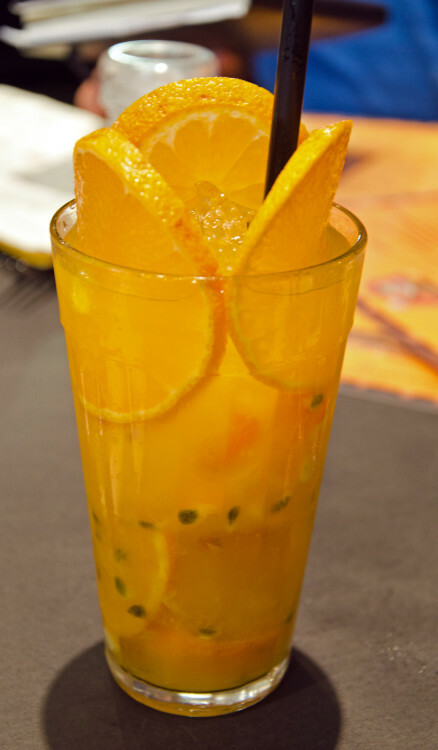 The traditional caipirinha, enjoyed all over Brazil is made with limes but Brazilians like to vary the fruits. The recipe below is made with pineapples. 1. Peel and cut the pineapple in medium size cubes. 2. Add the pineapple cubes and the sugar to a jar. 3. Use a wooden muddler to crush and pineapple and release the pineapple juice. 4. Add the ice cubes and fill the jar with cachaça. If you feel that the caipirinha is too strong you can add a little bit of water.